Big heart in the middle and the word ISRAEL below, two symbols, that all I have to say, Israel I love you. This t-shirt made of 100% Combed-Cotton T-Shirt. Our t-shirts are made of 100% cotton and are long lasting with bright colors. 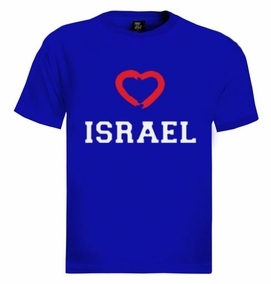 Our products are all designed and printed in Israel.